Tuna Omelet (Omelette an Thon) — The Local Catch, Inc. - The Best Rhode Island Seafood! 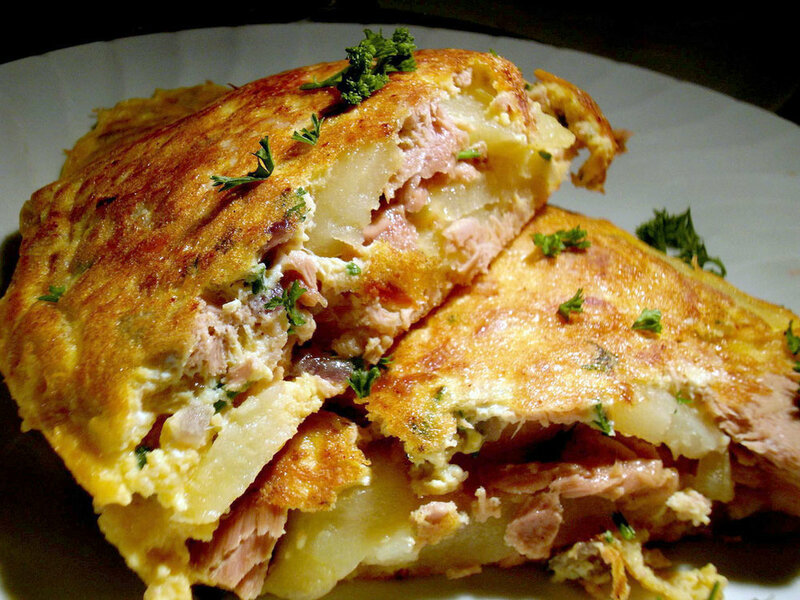 An historic French dish you can make is omelette an thon, or tuna omelet. From North Atlantic Seafood: "Take some fresh tuna, the size of a hen's egg, and mince with a small shallot. All this is incorporated into 10 beaten eggs, prepared as usual for making an omelette." The tuna omelette pictured was also made with potatoes—"an “omelette de patates au thon”—ooh la la!